Credit Card ensures you have access to credit at your fingertips, especially in case of an emergency. 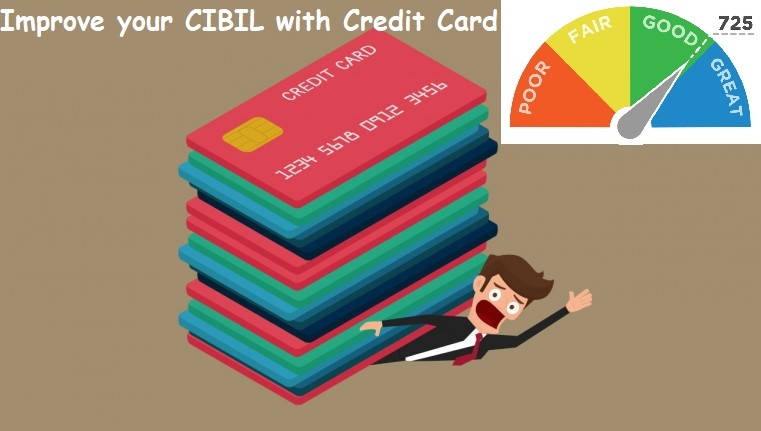 Careful usage and prompt payments will positively impact your CIBIL Score over time. Any late or missed payments on your credit card bill can incur late payment fees and impact your CIBIL Score, in turn affecting your access to future credit when you need it. Choose the one that suits your requirements, too many credit cards add to your credit burden and will impact your credit score. Instead of opting for multiple cards, choose one or two cards that will limit your credit exposure and accumulate points every time you make a transaction. Credit Utilisation Limit, simply put, means the amount of credit you use against how much is available to you. If you have credit cards, you can easily calculate this by dividing your total credit card outstanding balance by your total credit limit. For example, if you have two credit cards with a total credit limit of 5 lakh, and your outstanding due on one of them is 2 lakh and 50,000 on the other, this means your credit utilisation Limit is 50%. Restricting your overall credit card spend to 30 percent of your credit utilisation limit is considered a healthy ratio. Lenders announce special offers, rates and cash-back, especially during festivals and public holidays. With a bit of homework, smart planning and advance booking you can save some money with your credit card. Smart use of your credit card will help you build a good credit footprint as long as you are responsible and remember to repay the full amount on time. A 0% annual percentage rate (APR) credit card can help you save money by allowing you to skip interest charges for some promotional length of time. The 0% offer will only last as long as you adhere to all the terms and conditions laid out by your card member agreement. Being late on a payment can cause the promotion to end and your regular APR to kick in. A 0% APR credit card will not charge you interest retroactively on purchases you have not paid off only on any balance that remains after the promo period wears off. Credit Card bills do provide a 45-day repayment window, it is always best to pay off the entire due amount in full by the due date. If you pay only the minimum due or do not pay at all by the due date, then the interest rate as applicable will be levied on your outstanding. Assuming the payment is not made within the grace period or the interest-free period (often between 45-60days), this interest rate can be as high as 36 percent per annum. When you are revolving your money i.e., just paying the minimum due, you continue to accumulate interest charges from the first date of purchase. Whenever a payment is being made it is being offset against the first purchase. Once that is adjusted then it moves to the next purchase.